"The Road to Damascus" - Ex D78 Stock display at Long Marston. The NCRUG were fortunate to procure a place to visit the Long Marston development site "Vivarail" occupy at Long Marston on the 24th September. The NCRUG representative went with a sceptical eye as we saw these vehicles as ex London Transport cast offs. 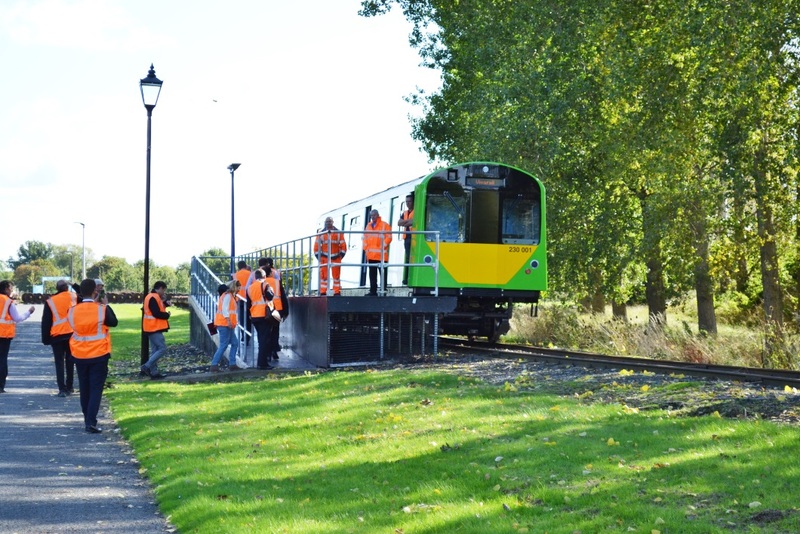 "Vivarail" have completed one demonstrator vehicle which can run under its own power on the test circuit at Long Marston. The party of visitors were met by Adrian Shooter and his team and were all able to ride on the vehicle and complete three circuits of the test track; others present included local authorities, the vehicles engine manufacturer and train operating companies (TOC) and the Railway Heritage Trust (RHT). Our representative was impressed with the interior ambience of the vehicle and the low noise levels during acceleration and even at the top speed available ( 50 kph - 30 mph), on the test circuit, were impressive. The ride on the test circuit which includes some difficult twists, curves and points together with continuous welded rail (cwr) and was very good. 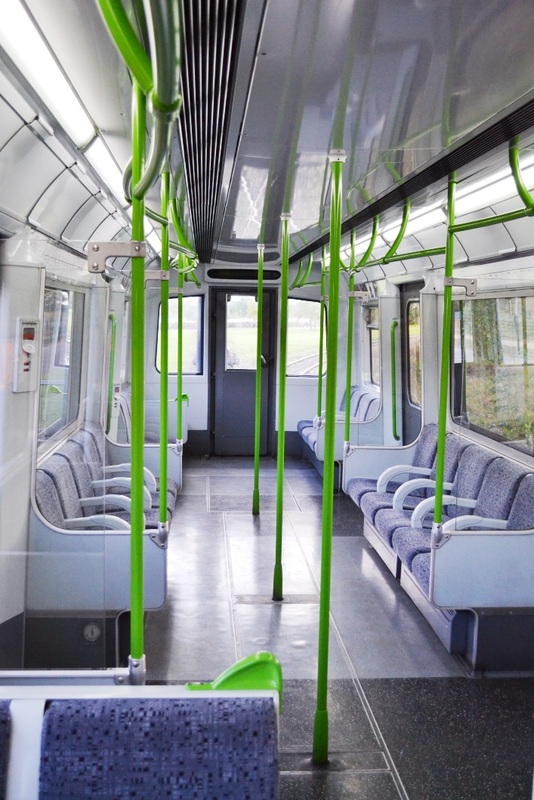 The end structure of the vehicles has been altered to provided added protection to the drivers area which will also benefit passengers. Two other vehicles were seen under modification and the innovative methods of engine replacement was seen and an engine removal time of ten minutes was claimed which makes these units friendly for maintenance purposes. 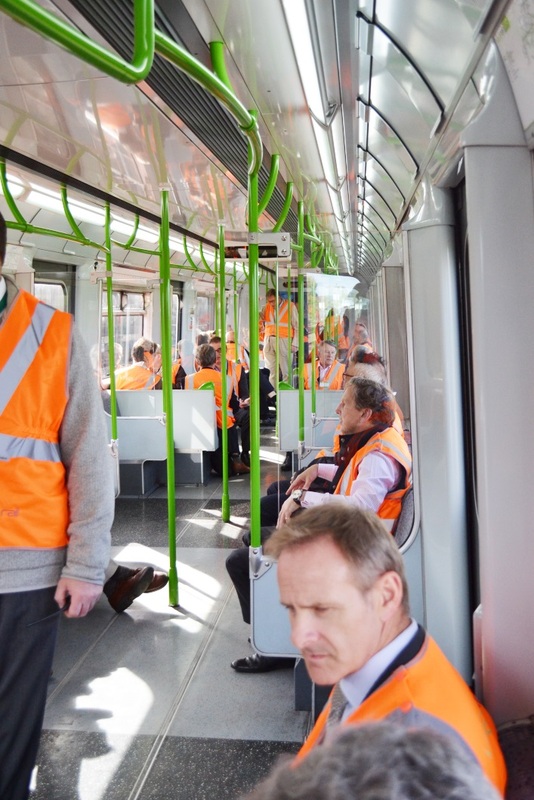 Various dummy seating layouts were demonstrated, out of a vehicle but no toilet cubicle was seen. It seems these units will be tested on the main line this winter and with a TOC during the coming year; my only remaining concern will be the ride quality on the main line at 100 kph ( 62mph) and this remains to be sampled. We look forward to riding on a Class 230, some time in the next 2 years; we think we will all be pleasantly surprised; these vehicles may well see the "Pacers" off and we will all be glad to see them go!